Cluses, France - Aug 30, 2014 - With the signature of South African Airbus operator Global Airways, ADSoftware is pleased to announce that AirPack solution is now one of the leading MRO software solutions on the African market. ADSoftware's presence in the African aviation industry started in 2003 when the French aviation software developer and publisher was selected to provide its flagship AirPack maintenance software by Air Austral in Reunion Island. 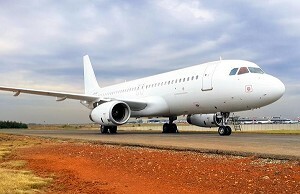 Seeing the growing potential of the African aviation, in 2009 the company decided to open a new office in South Africa through its local partner, Hi-Fly Marketing. To date ADSoftware has increased its footprint on the African continent by signing 16 operators, spanning right across the continent from countries like Algeria, Morocco, Ivory Coast, Botswana, Mauritania, Sudan, Mali, Gabon, Nigeria, South Africa, Reunion Island and Burkina Faso to name a few. The AirPack solution developed by ADSoftware was one of the first maintenance application on the market to offer an innovative MRO ERP solution suitable for small and medium aviation operators. Ever since, AirPack has proved that powerful solutions don't have to be complicated and expensive. The accessibility of the system together with the technical support in the implementation and integration phase have been keys to its success in Africa. The flexibility and pricing structure of the package allows fleets that are as small as 2 aircraft to as large as 30 aircraft to benefit from the system. By delivering superior business solutions through enhanced and automated functions within the AirPack MRO solution, ADSoftware has attracted offshore helicopters operators, national airlines and leasing companies into supporting their expansion and fleet modernisation. In December 2008, Air Botswana signed a deal with ATR for two 68-seat advanced turbo propeller aircraft ATR 72-500 worth US$37 million. The aircraft were delivered in March 2009 and integrated into AirPack in 2011 when the national airline decided to proactively implement a framework of internal controls over its maintenance department as part of its continuing efforts to adopt global best practices. In 2013, the newly launched national carrier Air Cote d'Ivoire selected ADSoftware's fleet management system and logistics solutions to support its modern fleet of Airbus A319, thus becoming the first Airbus operator in Africa to select AirPack. "We are aiming to support African airlines in their transition towards operating new generation aircraft. If we include MRO/CAMO fleets, we now handle more than a hundred A320s" confirms Fred Ulrich, ADSoftware's CEO. Based on its solid experience with this aircraft type, Global Airways a South African lessor that has recently started operating 4 Airbus A320s, decided to sign with ADSoftware. ADSoftware has equally made breakthroughs in the general aviation industry on the continent. In 2011 Heli-Union selected ADSoftware solution to fulfil the requirements of its worldwide MRO activity. Heli-Union is a key international player in the offshore helicopter transport business with a fleet of 30 helicopters spread over Africa. The African fleet includes a mix of Eurocopter AS365, Sikorsky S-76 and Eurocopter EC225. Early 2014, Moroccan and French helicopter operator, Heliconia decided to implement AirPack to benefit from ADSoftware's latest Business Intelligence and Data Exchange Technology incorporating Predictive Maintenance applications and Cloud-based hosting. Aero Corporate, a small private and business charter operator based in Ivory Coast has also decided to move its fleet onto the system. ADSoftware is a sixteen year old IT company based in France, with offices in Thailand, Brazil and South Africa. Specialising in solutions dedicated to the aviation industry, ADSoftware counts 53 clients worldwide as per January 2014. The strength of ADSoftware is the accessibility of its products which are Microsoft Windows(r) ready, web-enabled, and multilingual. The company provides 24/7 online technical support. 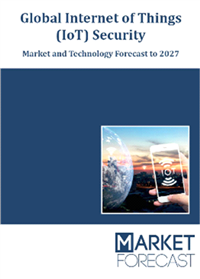 The company has developed AirPack a modular ERP (Enterprise Resource Planning) suite that includes six modules organised around a single database. Each module has its own specificities. AirTime is a dedicated tool for Fleet management & CAMO activities, AirStock assist with Inventory control & Logistic, AirDoc is the documentation management module, AirUser handles the security management, AirStat allows reliability and statistic reports and AirWork time-tracking software. ADSoftware has also developed DailyPack a package of two integrated modules, DailyReport and DailyQual, used by military, police and rescue flying operations. It is a solution dedicated to recording and managing all kinds of missions, and to follow-up on skills and qualifications of pilots and aircraft mechanics. In 2012 ADSoftware was selected as one of 30 French national finalists in the European Business Awards and came second at the CIC International Export competition. ADSoftware considered by the French government as an innovative company. Visit www.adsoftware.fr for more information.